You’ve got a fresh set of wheels, paint that’s buffed to perfection, and enough new chrome and billet parts to make a house payment—or two. 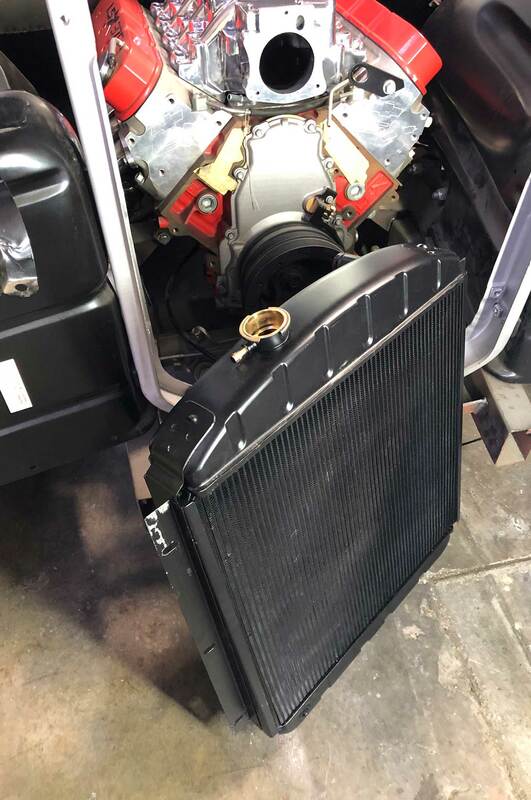 You’ve even got a fresh crate motor with all the bells and whistles, but, wait, you’ve got a stock radiator? We’ve all seen that guy, and all we have to say is, “Don’t be that guy.” Don’t get your car all dialed in with show parts just to be stranded in style. The radiator is an essential component to your car’s health and it’s definitely not something to skimp on so don’t even think about buying one of those eBay radiators for $100. 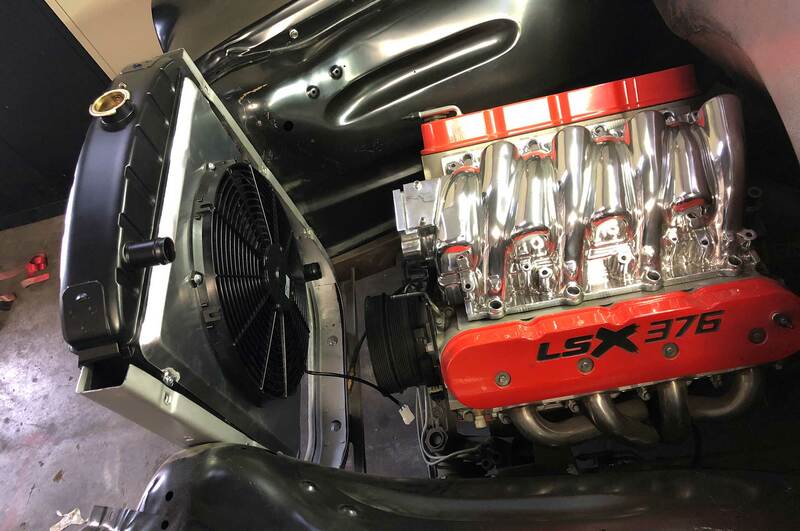 Now that our 1953 Chevy bomb truck is about done with its full-blown restoration, we’re in the final stages and it’s time to crank that brand-new LS engine. To do so we’ve got to make sure it keeps its cool, so we went with a U.S. Radiator 1948-1954 V-8 (small-block/big-block) radiator, and man it didn’t disappoint. Sure, we could have gone with a run-of-the-mill radiator, but this is a quality piece that’s a true drop-in replacement. 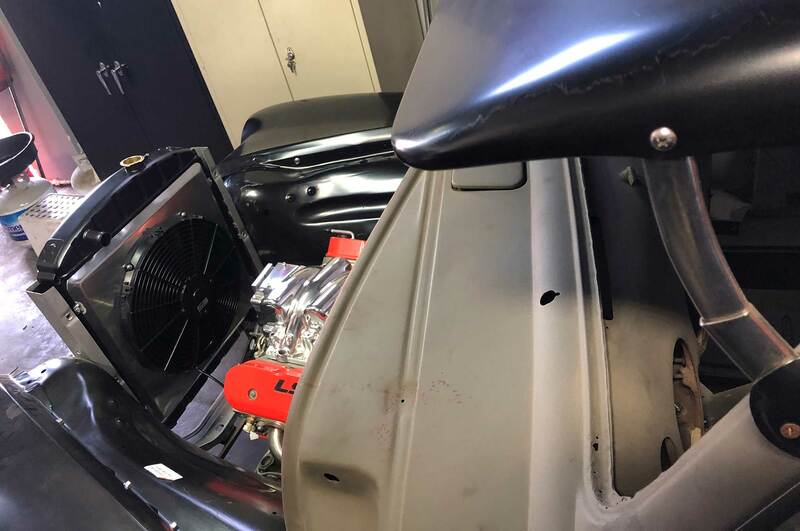 Prior to making our order, we made sure to tell the boys at U.S. Radiator that we dropped in a new Chevrolet Performance LSX 376 motor and all they had to do was modify the end tanks so all of our lines could pop right in. Made in the USA, located in Vernon, California, U.S. Radiator takes pride in their manufacturing process. The difference is found in the tooling and overall construction. CNC brackets and die-stamped end tanks ensure a perfect fit, and we mean that in every sense. 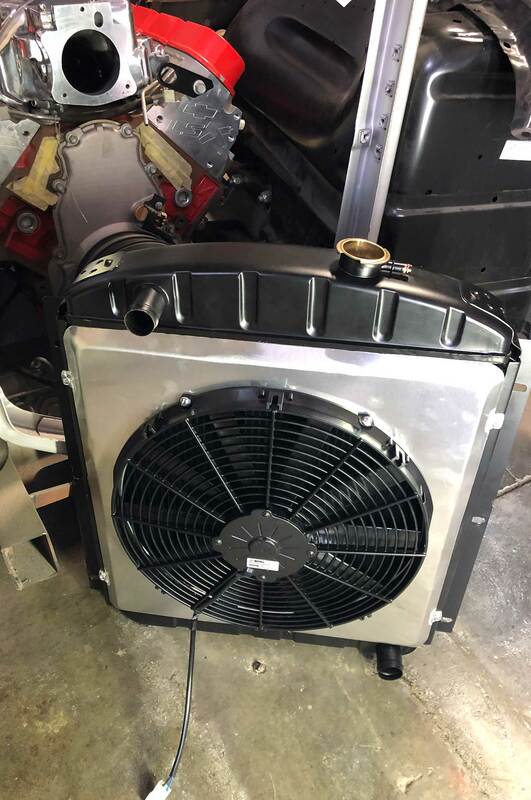 Other radiator manufacturers claim to have “drop-in” units, but in the end, too many of us have found out that their end tanks don’t fit the radiator supports or connecting them requires “modifications,” such as extra work or additional fittings. 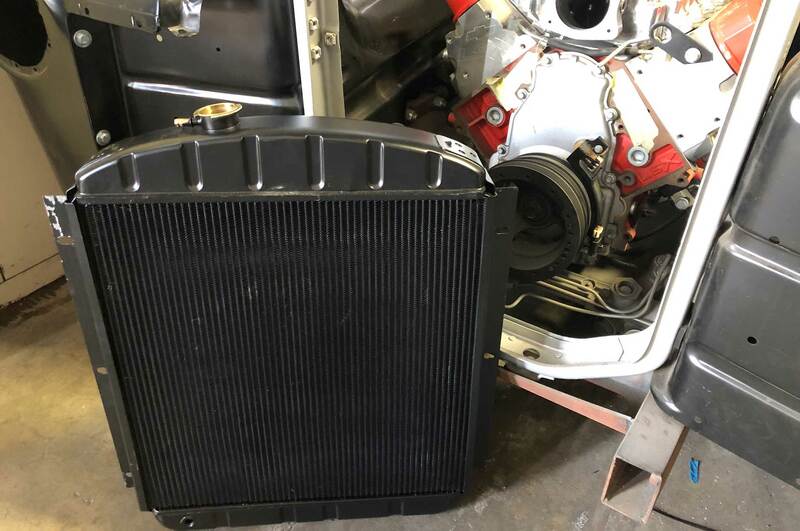 The Chevrolet truck 1948-1954 V8 SB/BB radiator is available in six different cores, from Standard to Optima Triple Flow—which is what we opted for. The Optima Triple Flow features a copper core with 1/2-inch tubes on 5/16-inch centers and offers 40 percent more heat transfer points. 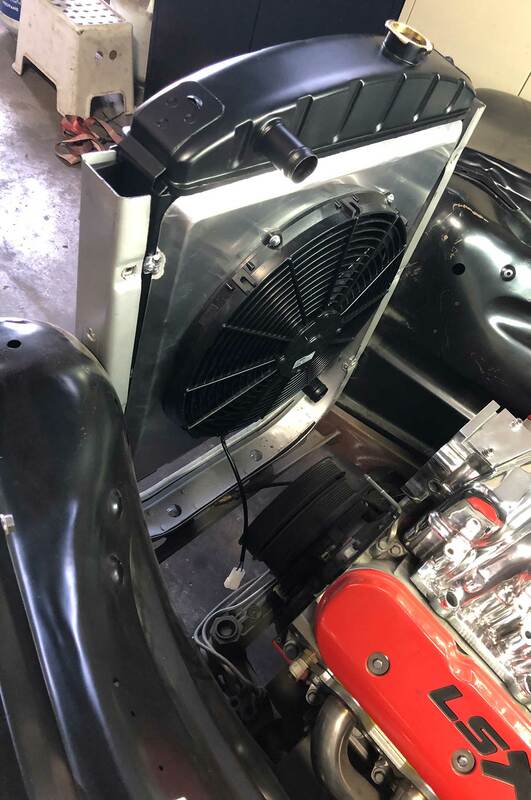 In addition, we also opted for the aluminum fan shroud combo from U.S. Radiator and once Jessie at Custom Dimensions installed it it was really as easy as dropping it in, reattaching the brackets and hoses, filling her up, and we were done. In addition, it’s the most efficient core on the market (made of copper/brass) with a core thickness of 1 5/8 inch, U.S. Radiators are well-constructed, high-performance radiators that are well worth the price. In addition, it’s not only an insurance plan but an investment that’ll help give you peace of mind knowing that your motor will be serving you well.